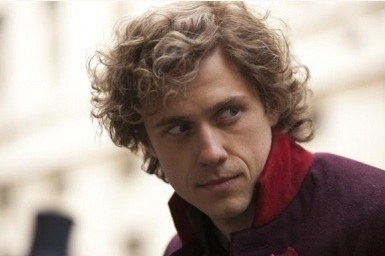 You may have seen American actor Aaron Tveit (b. 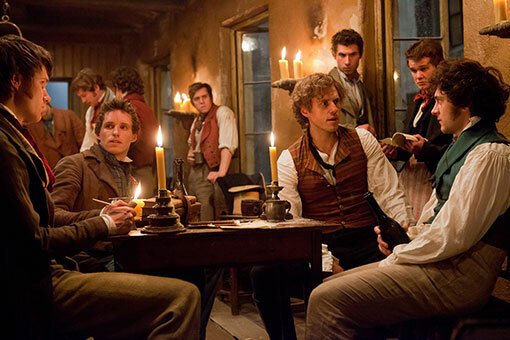 1983) in the newest Les Mis film, acting and singing alongside young Brit, Eddie Redmayne, and Australian (superstar) Hugh Jackman. 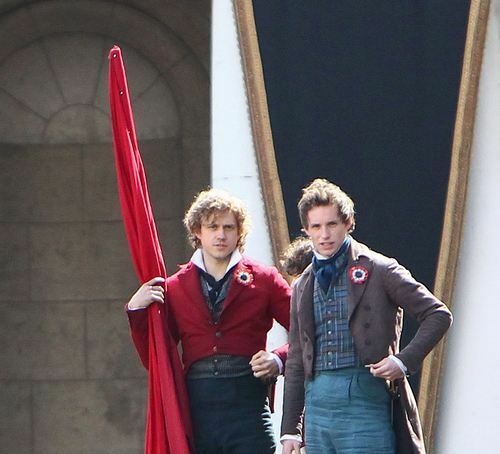 He plays Enjolras, the serious-minded leader of the student group dedicated to making political change in France. He is close friends with Marius (Redmayne), the student who falls instantly in love with Cosette (Amanda Seyfried, another American). Aaron’s singing voice is very strong (in my opinion) and he handled the role very well. Not sure if those curls are his real hair, but they look great! The songs sounded very natural coming from him. Marius, I don’t doubt you mean it well… Who cares about your lonely soul… we strive toward a larger goal. Our little lives don’t count at all! 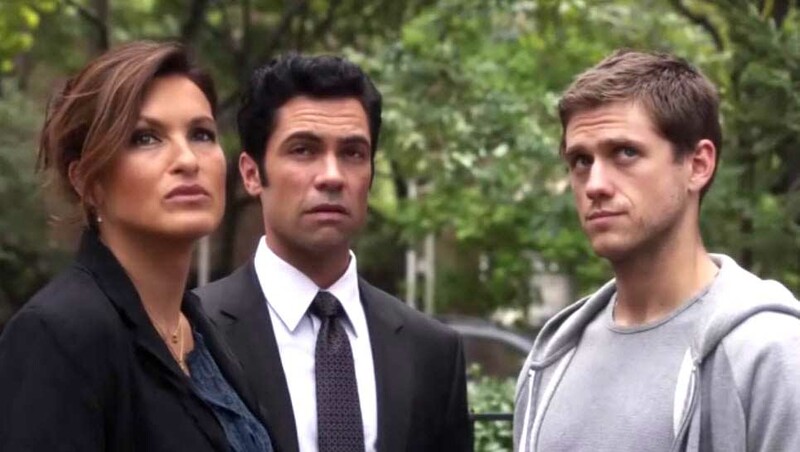 Aaron has appeared in the theater (including Broadway) and had notable guest spots on a few TV series. He auditioned (along with a huge crowd of young actors) for the role of Finn on Glee. You can find out more on Aaron’s IMDB page.